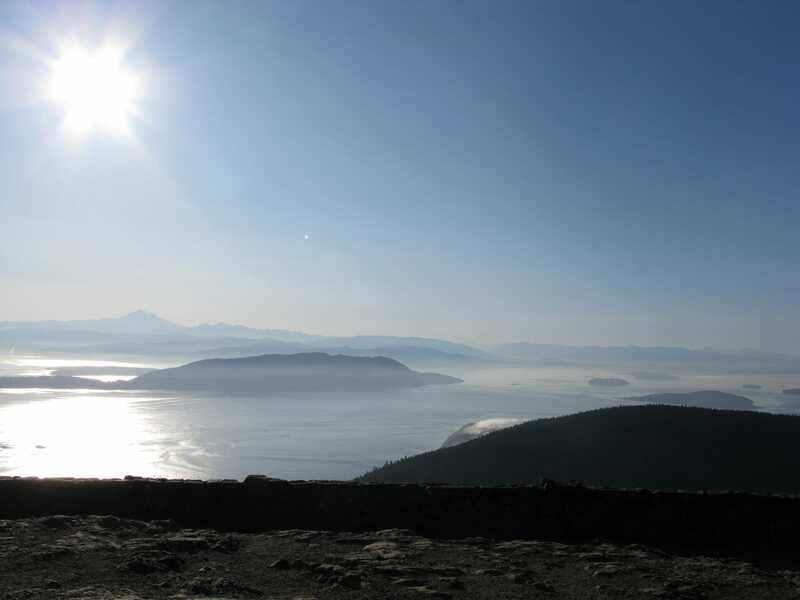 Mount Constitution sits on the northeastern end on Orcas Island of Washington’s San Juan Islands. 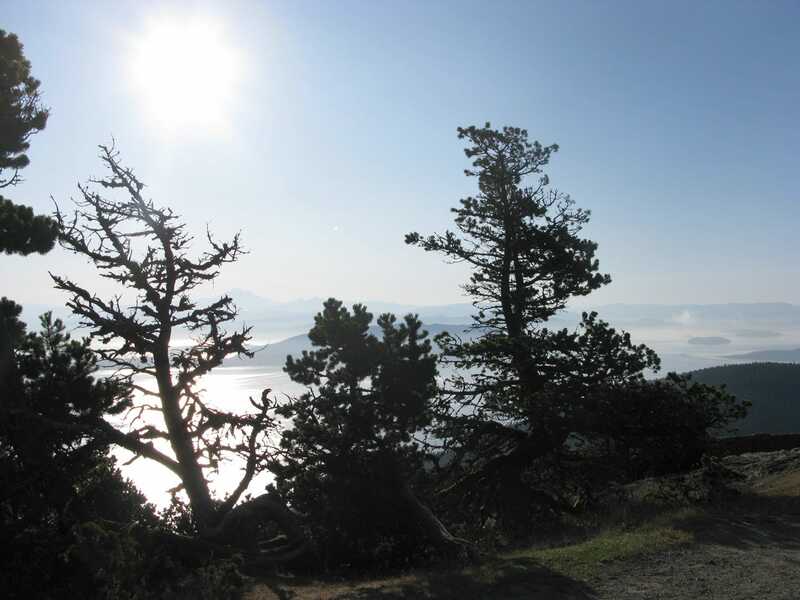 At 2,407 feet, it is the highest point in Moran State Park, Orcas Island and of the entire collection of San Juan Islands. Its prominence offers up tremendous views to those who travel to the summit. Yes, driving to the summit and walking a couple dozen steps up to the top of the stone observation tower is an option, but why not hike it instead? 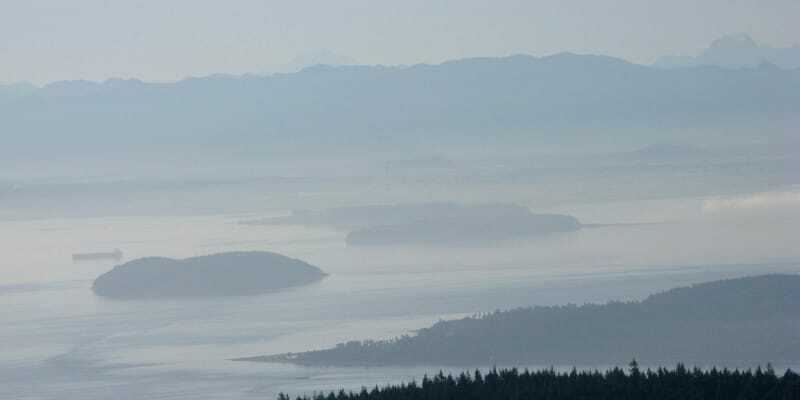 This hike, perhaps my favorite in the region, is well-worth the effort to get to Orcas Island and onto the trail. Beginning at the Mountain Lake Campground (at the base of Mount Constitution) within Moran State Park, weave your way through dense forest for the first mile or so. Pause to take in the surroundings and you might notice the eyes of a few deer or other wildlife looking your way. At just over a mile, head onto the Twin Lakes Trail and take this fairly level portion of the trail about another mile or until you reach a junction. Stay left here and head up the steepest part of the trail for another mile or so to reach the summit. 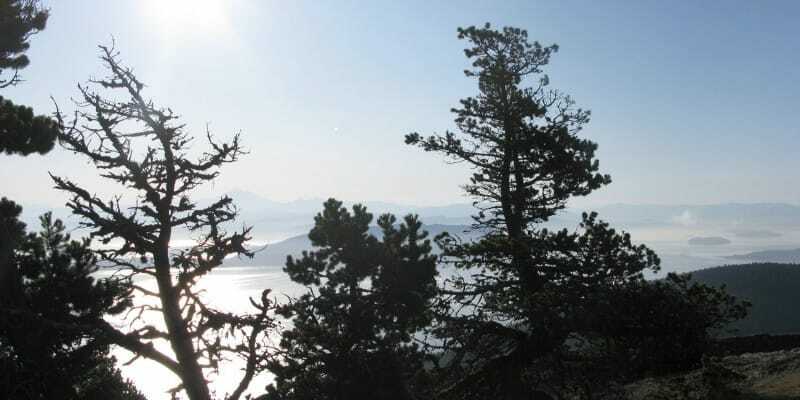 The last third of the hike gains the most elevation, but multiple viewpoints open up on the way, and the final stretch is a gentle slope that opens up to tremendous views. This hike has it all – a combination of gentle slopes and steep switchbacks, varied terrain that includes alpine meadows and dense Pacific-Northwest forest, wildlife sightings, spectacular views at the summit, and well-maintained Moran State Park trails to take you all the way up there. The Mount Constitution summit hike far from the most physically-challenging hike but solitude on the trail is almost guaranteed and the summit views are exceptional. 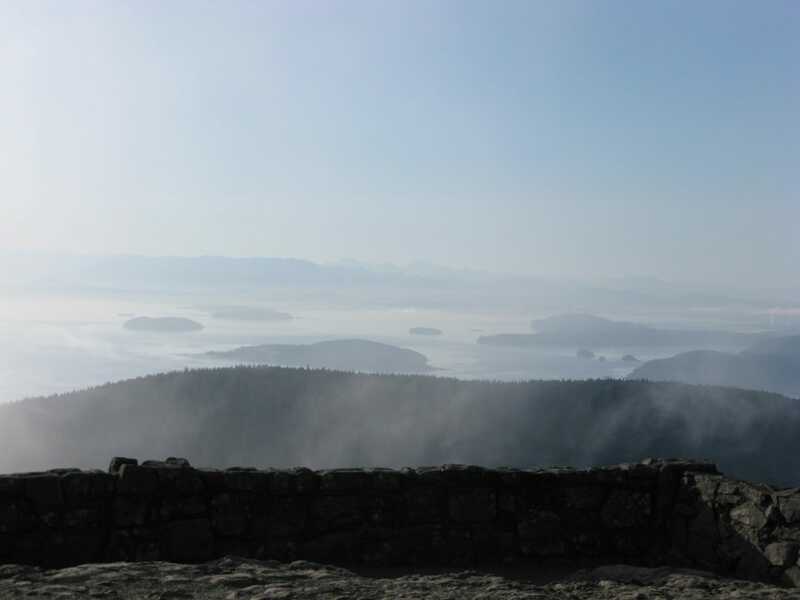 Your solitude typically ends at the summit (thanks to the paved road leads up there) but enjoy the views of other San Juan Islands, Mount Baker and even Mount Rainier before heading back down. The total hike (roundtrip) covers a little over 7 miles and gains 1,500 feet in elevation. Tip : Make use of the paved road to the summit and cut the hike in half – have someone pick you up at the top. 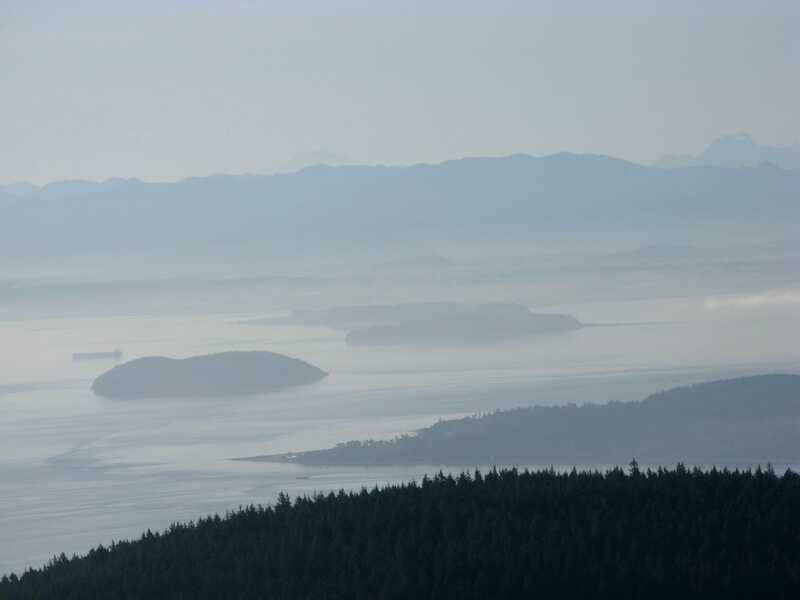 Tip : Don’t expect a quick day hike with anything associated with the San Juan Islands. 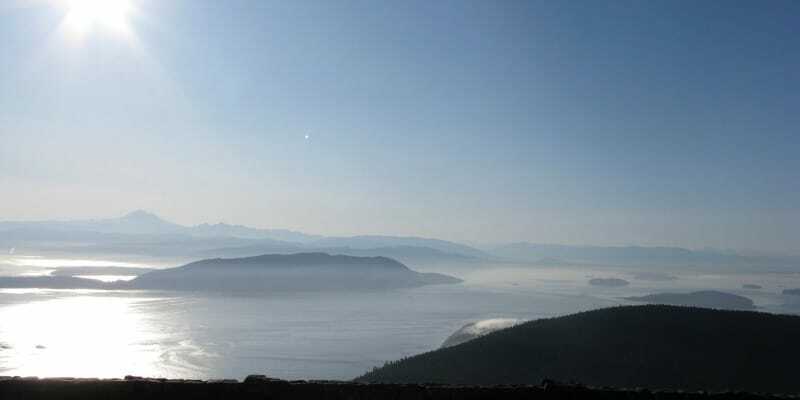 Make a day – or two – of it and plan explore Orcas Island. Finding your way to Moran State Park can be the most time-consuming part of this hike, as getting here typically involves a fair amount of drive and ferry time. From Anacortes, WA, take the Washington State Ferry to Orcas Island. Plan to arrive early in Anacortes in busy months of the year or you could end up sending a large portion of your day waiting at the docks. Exiting the Orcas Island ferry dock, follow the Orcas Road north to Eastsound, WA. Take a right on Main St (Crescent Beach Drive), follow it east for about a mile and then turn right onto Olga Road. Take Olga Rd. about 3 miles to enter Moran State Park. Begin your hike near the Mountain Lake Campground. Elevation change (estimate): 1500 ft.